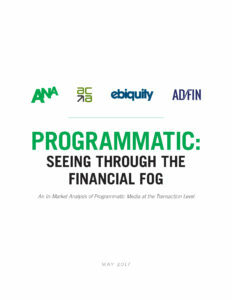 This study presents a data-drive fact base around the economics of programmatic media trading and suggest steps to help all marketers take greater control of their programmatic investments. 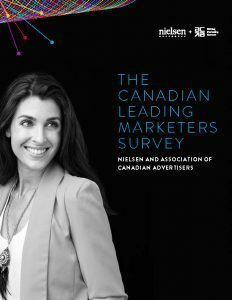 In an effort to better understand how marketers are focusing their budgets amid an evolving media landscape, the ACA and Nielsen conducted the Canadian Leading Marketer’s survey between the fourth quarter of 2015 and the first quarter of 2016. 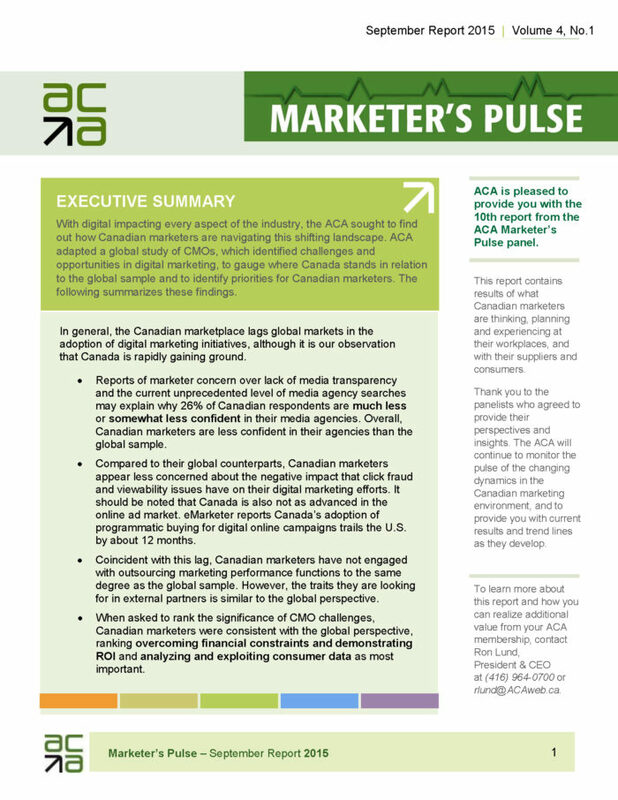 These reports contains results of what Canadian marketers are thinking, planning and experiencing at their workplaces, and with their suppliers and consumers. 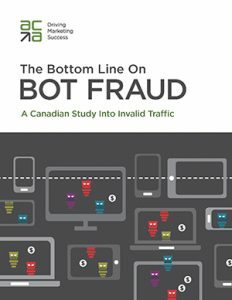 Thank you to the panelists who agreed to provide their perspectives and insights. 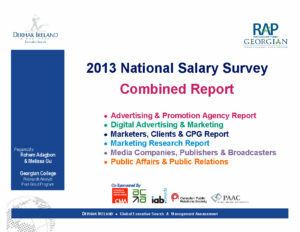 A national level report on salary band and company-wide benefits of marketing services related job positions across six main sectors: Traditional Advertising Agencies; Digital and Online Agencies; Media Companies: Publishers & Broadcasters; Client Advertisers and Marketers; Market Research; and Public Relations and Public Affairs. 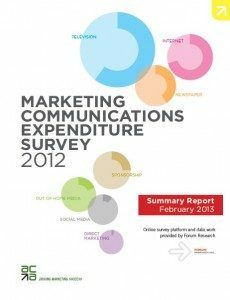 This study’s purposes are to provide insight into the current use of media and other MarCom channels, and to identify areas where media and other MarCom channels are changing within budgets and will continue to change in the near future.